NetSuite is a platform that will easily adapt and scale the unique buying and selling scenarios. It was built revolving on the concept that ecommerce cannot be a standalone channel but a really core business component. The SuiteCommerce also enables the business to move from the siloed online, in-store and the phone shopping channels to an easy solution on the integrated solution for commerce. This will help in connecting seamlessly with POS to order management, inventory, merchandising, financial, marketing, customer service. It will also help in delivering a consistent, engaging and a personalized shopping experience on any devices. They will enable various channels for B2C and B2B for connecting seamlessly across various genres. It’s basically helps in the overall operation. It is highly flexible as it is fit for anyone who is involved in the ecommerce business. It can be accessed from anywhere and anytime. They are extremely fast and the web store front end solution which is richly enabled. Being fast is what always keeps the solution. The customers would be delighted due to the high personalization and an engaged shopping experience that is being provided to them. The conversions that one can have in the business will help them to grow globally. As it is built using the best of the architecture the user can have unlimited layout control across various devices. It provides a rich user experience by providing a rich seamless commerce. 1. Tie it directly to the operational business system with single based cloud platform. It is directly connected to the operational business system. This makes the whole process interconnected with each other. This is also possible due to the single based cloud platform. It is on your requirement as to how you would like to channel the complete process. The process is defined according to the business needs. It represents a brand and the experience should be consistent. The customer should have a rich experience. The design is responsive and compatible with all the devices. The experience should be an optimized for the customers. As it supports multiple languages, currencies, taxes/VAT, subsidiaries and international shipping prices and various custom documentations. With the help of all these factors you can sell globally. The customers may vary according to the needs that may have. SuiteCommerce is used for providing services to any type of customer that the business holds. 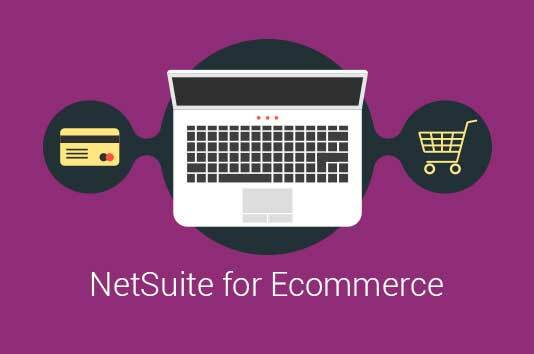 Do you have an ecommerce business and looking for a NetSuite Solution to streamline your business? We at Inspirria Cloudtech, are here to help you. You can take us as your secured cloud provider partner and NetSuite solutions with decade plus of experience working with 400+ Cloud projects. Push productivity to its optimum level with proven solutions, which is used by the best companies all over the world.